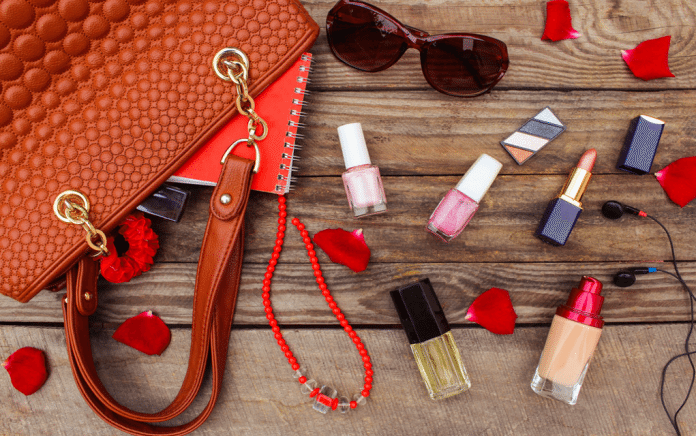 If walking down the aisles of a cosmetics store leaves you feeling like choosing just a handful of makeup products to get you through the day would be on par with climbing Everest, we’ve got some help for you! Everyone can get away with using just a few choice makeup essentials for everyday wear. Use this list if you’re new to makeup and looking to get started or if you’ve amassed a large collection of makeup and are looking to pare down. Read on for advice on the only makeup essentials you need in your bag. Do you have pink or blue undertones? Cool skin tone or warm? Not sure? No problem. Visit a trusted cosmetics store and get a professional to match you with a shade of foundation that blends seamlessly into your skin. A perfectly matched foundation is the basis of all good makeup and a definite must have for your makeup bag. If you’re fending for yourself, try swiping the foundation across your jawline and assessing the color match in natural light before purchasing. When applying foundation, use your fingers for the best and quickest application. Clean fingers allow for even distribution and the warmth of your skin blends the products easier. Apply the foundation only where you see discoloring and blemishes. The right shade of blush blends evenly with your skin while leaving behind a warm glow. While the name can be off putting (the color from actually blushing can be a bit intense), a good blush can make people appear more awake, lively and healthier. There are many options when it comes to blush, so try a few out to see if you like a deeper blush that suggests more of a tan or a brighter blush that gives a pop of color. Pro tip: try a cream blush or stain that can also double as lip-wear to give your lips some definition and color. With a multitude of colors and options to select from, choosing mascara can be daunting. Most packages claim their mascara will do everything short of wash your car, but in reality most mascaras are very similar (apart from color). The real issue facing mascara is time. Unlike most cosmetic products that can stay serviceable for ages, mascara has a very real expiry date, and for good reason. The longer mascara is exposed to air being pumped into the tube, the more gloopy and prone to clumping the formula will become. Mascara can also pick up bacteria, which can easily be transferred to your eye. So when it comes to mascara, make sure whichever one you choose (you need at least one) is less than 6 months old. When you see clumps, it’s time to toss it and buy a fresh tube. In reality, you don’t need too many eyeshdow colours. While the idea of buying that hot pink, lime green and magenta eyeshadow palette may be fun, the reality is that outlandish and highly pigmented colours are worn less often and may be left to dry out in the back of a drawer. Instead, try to find three or four complimentary colours that you enjoy and that flatter your complexion and learn a myriad of ways to use them. Usually, you will require one deeper shade, one neutral shade (just a few shades darker than your skin), and a highlighter shade. Now that you have your essentials, you’ll need a way to apply them. While there are some makeup artists who advocate for using only your fingers all the time, we suggest investing in a small, high-quality brush set. With the right tool for the job, you can perform makeup miracles. We recommend an eyeshadow brush, a large fluffy brush for powder, an eyebrow comb and a blush brush, but the world is your oyster! Just remember, brushes should be sprayed with a gentle brush disinfectant after use and cleaned in gentle shampoo once a week.